PASADENA—Kate Nahapetian, Executive Director of the Armenian Legal Center for Justice and Human Rights, announced the organization’s Property Documentation Database Project while discussing several of ALC’s initiatives and the path to reparations at the Armenian National Committee’s Western Region Grassroots Conference on October 7, 2017. The Armenian Legal Center announced its project, a database documenting stolen, confiscated, or lost property taken during the Armenian Genocide, such as homes, orchards, land, bank accounts, insurance policies, bonds, art, jewelry and other properties. During the talk, Ms. Nahapetian noted that a collection of this information is vital to our efforts to realize reparations as these records are not being collected nor consolidated by any community organizations and can act as a reliable source of data that will strengthen the Diaspora’s ability to advocate for justice in the political and legal spheres, as well as future diplomatic discussions or arbitration with Turkey. Because of the mass violence and destruction associated with the genocide that resulted in the loss of documentation of properties, the ALC will not only collect physical documentation, but also testimonies on properties from survivors or their descendants, which the ALC hopes can eventually be compared to Turkey’s own records. In a talk co-sponsored by the ALC earlier this year at the George Washington School of Law, Dr. Ümit Kurt, a Post-Doctoral Fellow at Harvard University’s Center for Middle Eastern Studies??? spoke on the issue of Turkey’s property records, noting that they are well-organized and can provide a detailed history to Armenian heirs. Dr. Kurt noted that despite plans in 2005 to make land records public, they still are not because of Turkey’s National Security Committee’s intervention. The abandoned properties and liquidation commissions set up to confiscate Armenian properties also kept meticulous records. The ANCA-WR conference panel, entitled Road to Reparations, included UCLA Law professors Asli Bali and Jessica Peake, who are respectively the Faculty Director and Assistant Director of The Promise Institute for Human Rights. Nahapetian noted ALC’s partnerships with law schools, including UCLA Law and University of Southern California’s Human Rights Clinic. Through such partnerships with pro bono attorneys and students, the ALC is examining novel approaches to reparations and the best venues to pursue claims. 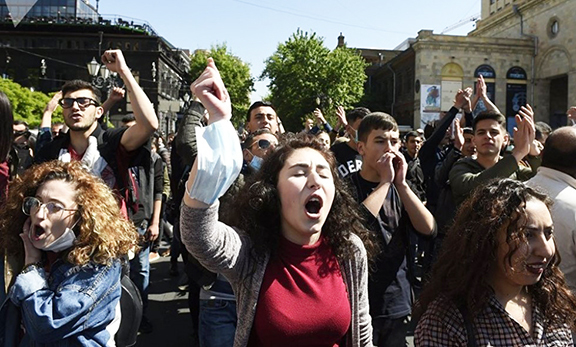 The ALC fights to redress human rights violations emanating from the Armenian Genocide that continue to this day and undermine stability in a region that has for far too long been marred by policies founded on genocide, not human rights and justice. ALC promotes scholarship on the legal avenues for addressing the challenges emanating from the Armenian Genocide, in addition to pursuing litigation, while promoting the protection of Armenian cultural heritage through the return of stolen properties and artifacts. Submit documentation concerning stolen or lost properties from the Armenian Genocide. The Armenian Legal Center can be contacted with questions or inquiries by emailing kate@armenianlegal.org or calling (202) 742-8702.